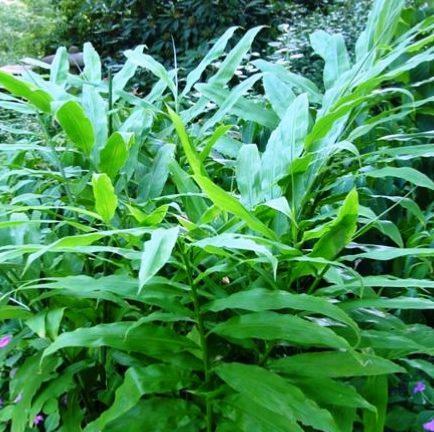 Zingiber mioga is a wonderful Japanese and Korean native ginger plant which is at home growing among hellebores and ferns in the woodland garden. In spring-emerging stems clad with lush, green, tropical looking foliage reach up to 90cm tall. Plants of Myoga spread slowly thanks to short, thick rhizomes, eventually forming quite large colonies which suppress most weeds and reach in time 90cm in height. 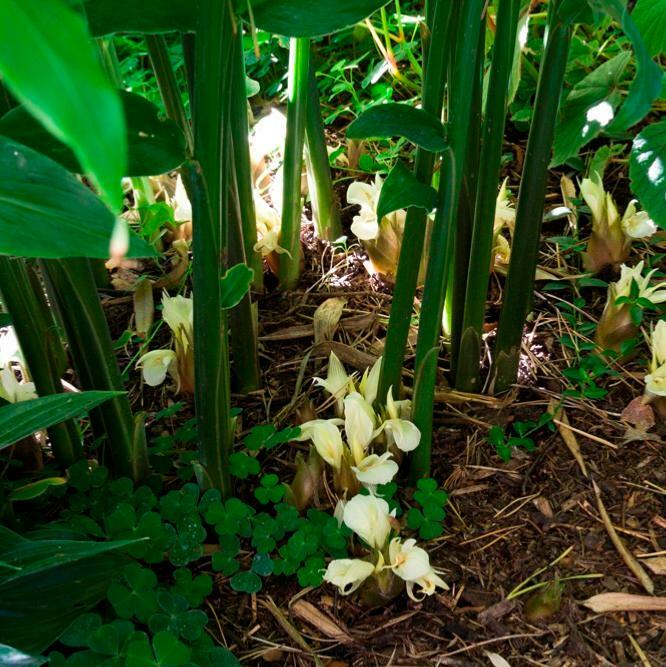 In early September, Mioga ginger flowers can be seen at ground level, looking like orchid blooms beneath the stalks. Zingiber mioga is an interesting and all too rare woodland perennial with exotic appeal. Very easy to cultivate and surprisingly hardy.